If you are an Industrial music fan and if you lived through the time period or are a fan of it, you know exactly what someone means when they talk about that “90’s Industrial sound”. It harkens mental perceptions of bands like Ministry, Skinny Puppy, Skrew and maybe even Optimum Wound Profile. That Industrial sound is filled with chunky guitars, often distorted (and sometimes creepy) vocals, heavy beats, plenty of sampling and electronic noise. As I’ve aged, I’ve figured out that this is the “sound” of my era. I grew up with it. I was immediately drawn to it and loved it. Over the years that particular style has diminished. Luckily it hasn’t died out. 3Teeth’s debut is firmly planted in that gritty, scary music era and I am happy to say they are definitely keeping the style alive with their self titled debut album 3Teeth. 3Teeth’s debut is filled with crunchy guitars, creepy distorted vocals, heavy electronic beats and decent sampling thrown into the mix. Tracks like “Consent” and “Nihil” are put together with steady, pounding rhythm and crunchy guitars. Finished off with gritty, distorted vocals that are low into the mix but manage to sit right above the instruments. Tracks like “Dissolve” and “Chasm” have a very significant feel of that 90’s Industrial sound. They are more sluggish tracks, mixing heavy beats with the harsh, creepy vocals and sampling. “Chasm” even tosses in some eery chanting. 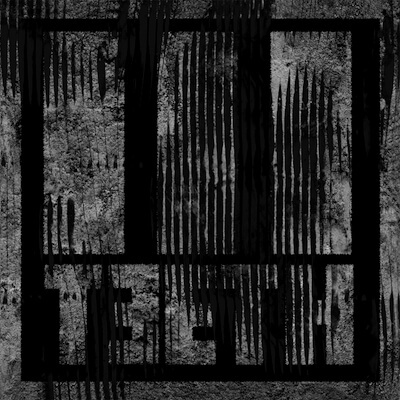 3Teeth is not your dance floor EBM Industrial music. It would probably be “scary” to non-Industrial fans. 3Teeth’s debut is harsh. It is mean. It is heavy, austere and it is oh so good. The godfather’s of that 90’s Industrial sound may have moved on but others are working to keep the scary, gritty sound alive. If you are a fan of that “90’s Industrial sound”, there are bands keeping it alive. 3Teeth obviously, but also check out Chrysalide and Dead When I Found Her.